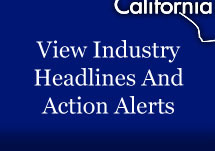 Please note the above mentioned delay does NOT impact the effective date for the AB 1103 Benchmarking law. If you are not yet ready for the mandatory benchmarking regulations which kick-in on January 1, 2014, refer to directly to the CEC resource page. Throughout the end of last year we partnered with the Energy Commission to help owners/managers better understand the policy issues related to the implementation of the AB 1103 Mandatory Benchmarking and Disclosure Law. The effective date of the regulations is January 1, 2014, for all nonresidential buildings more than 10,000 square feet.